Wrestling in the US has over 250,000 participants at the high school level alone. But, less than 4% of those go on to wrestle in college, and an even smaller percentage of those have any hope of continuing their wrestling career beyond college at the international level. Brazilian Jiu Jitsu (BJJ) is a more recreationally focused sport, with frequent opportunities for competition for people at all ages and all experience levels. The 2016 IBJJF Pan American Championships in Long Beach California hosted over 3,000 competitors—that’s just one tournament! The skill sets involved in wrestling and BJJ are very similar, so why don’t we see more former wrestlers competing in BJJ? With such a massive talent pool, one would expect to see wrestlers dominating jiu jitsu in America. But, while many wrestlers have dabbled in some form of submission grappling, the reality is that very few successfully make the transition. As a former collegiate wrestler turned BJJ practitioner myself, I know what it’s like making that transition. As the owner of a martial arts academy that trains athletes in both wrestling and BJJ, I also understand why so few are successful. This is by far the top reason that most wrestlers don’t stick with BJJ. After all, it took years to become good wrester and a tough competitor. But, training in jiu jitsu is like starting all over at the bottom again. You even have to wear a white belt! Part of you wants to prove that wrestling is better than BJJ. More than likely you can already beat most of your training partners, using your wrestling base to stay on top. This mentality and this form of training is guaranteed to prevent you from actually learning anything. The objective should not be to prove that one discipline is better than the other, but to combine and compliment your wrestling skill set with a BJJ skill set to become a great grappler. Some of the things we do in jiu jitsu are just plain weird to a wrestler. The uniform. The bowing. Putting your own back on the mat. All of these things are completely out of the comfort zone. The expression “you can’t teach an old dog new tricks” is only true if you let it be. Instead, embrace the aspects of BJJ that are foreign to you. Be a lifelong learner and enjoy the newness of the experience. 3. Train with people better than you. As mentioned above, a strong wrestler is going to be able to beat most BJJ hobbyists. A D1 wrestler can walk into most BJJ gyms and out grapple everyone without a day of training. The next thing you know, he will be offered a free membership and a position as the team’s wrestling coach. He will teach take downs to the BJJ students for a while until he gets bored and retires from his short lived fling with BJJ. I have seen this scenario play out countless times! We say in wrestling that “iron sharpens iron” and the exact same is true in jiu jitsu. You need to find training partners that can beat you. Don’t be the big fish a small pond. When you finally find someone that can tie you in a knot, it can be eye opening. You will realize “hey, this guy knows something that I don’t.” At that point, remember tip #1 above. Instead of being discouraged, get inspired to learn jiu jitsu. 4. Pull guard in training. Perhaps the biggest difference between wrestling and jiu jitsu is the “guard”—fighting from your back. As discussed in tip #2 above, this is really out of the comfort zone for wrestlers. Most wrestlers will prefer to use their existing skill set to play a “top game”. While the top game may indeed be the best strategy to win competitions, a reluctance to learn the guard position is going to hold you back from developing a complete jiu jitsu game. Because the position is so new and so foreign, I recommend pulling guard every time during training, developing a weakness into a strength. Knowing the guard will make you a more effective passer too, as you will have a better understanding of what your opponent is trying to do from the bottom. It will also save you when you inevitably get swept and need to fight off your back. A wrestler with a good guard is a dangerous combination. Wrestlers are particularly reluctant to train in the traditional BJJ uniform (gi). While even no-gi jiu jitsu requires a wrestler to go out of his comfort zone, putting on the gi is one step too far! Can’t a wrestler just learn a couple submissions to go with his wrestling? Not if he wants to compete at a high level. A wrestler that only knows an armbar and a kimura is doing himself a disservice by refusing to actually learn jiu jitsu. To learn the fundamentals of BJJ, you have to learn the guard position, and there is no more effective tool to learn the guard than by wearing the gi. Without the gi it is too easy to scramble, relying on strength, speed, and slipperiness. With the gi on, the game is slowed down. With athleticism neutralized, you will be forced to rely on technique and your learning curve will be dramatic. The five tips listed above focus primarily on how the right mindset can improve a wrestler’s chances to successfully transition to BJJ and submission grappling. But, it is also important to be aware of the wrestler’s technical skills that are going to help in jiu-jitsu, and the tendencies that can be weaknesses if not corrected. This isn’t really a “technical” strength, but it is worth giving wrestlers credit for their work ethic and tenacity. Wrestling culture embraces relentlessness, where jiu jitsu (the “gentle art”) is often praised for enabling technique to conquer brute force. Never-the-less, the wrestler’s grit is a great asset. It is no secret that wrestlers are good on their feet. Today, many BJJ practitioners are training wrestling and Judo to improve their takedowns. But, it is very difficult to completely close the gap with wrestlers who have spent years honing this specific skill. Once swept, however, a wrestler’s tendency to go to his belly, exposing his back, can be a deadly mistake. Wrestlers are also known to have terrific top control. Experience holding an opponent down to prevent his escape gives wrestlers good balance and scrambling ability. A watch-out here is that wrestlers tend to keep their hips high, which allows space for the opponent to recover guard. About the author: Reed Shelger is the co-founder of Paradigm Training Center in Houston, TX. He was an NCAA Division-1 wrestler at UC Davis. 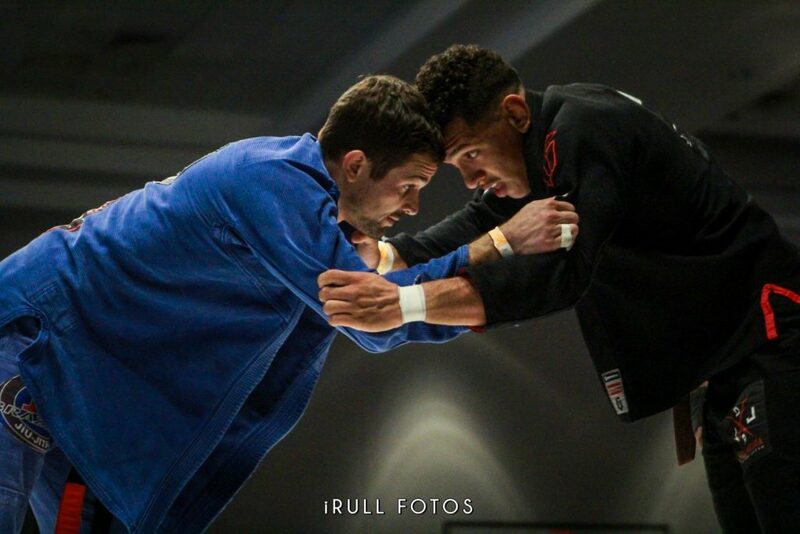 He is a black belt under Marcus Bello and is a regular competitor in the Texas BJJ scene.